Since the first Invasive Plant Patrol (IPP) workshop in 2002, the Lake Stewards of Maine (LSM) has trained thousands of individuals to screen Maine waters for aquatic invaders. The program was specifically designed to engage widespread participation by individuals with varying amounts of time and expertise to commit to the endeavor, from those who simply want to be more knowledgeable when they are out recreating on their lake, to those who are conducting and leading comprehensive lake wide surveys. If you are interested in attending an IPP workshop and or joining the volunteer team, please contact LSM. Check out our workshop schedule for all our workshop offerings, and for more information on becoming a certified monitor visit our Invasive Plant Patrol page. To become a Certified Plant Patroller you must have participated in at least one IPP 101 workshop (or equivalent training), complete the questionnaire (only the portions that apply) and sign the statement of commitment. The LSM will provide all certified patrollers with standardized field sheets and an ID card. If you or your group is interested in hosting or sponsoring a workshop, please contact us at 207-783-7733 or stewards@lakestewardsme.org. The Plant Paddle is a 3-hour guided exploration that takes place on shore and on the water. This is a fun, informal way to learn about Maine’s native aquatic plants, as well as the invasive aquatic plants that threaten these beautiful and ecologically-important habitats. Participants will each receive a free “Quick Key to Ruling Out Maine’s Eleven Most Unwanted Invasive Aquatic Plants,” and will the practice skills needed to spot suspicious plants while out recreating on the water. Formerly known as ‘Introductory IPP’ this comprehensive, 6-hr classroom experience prepares attendees for conducting or leading invasive aquatic plant screening surveys and satisfies the quality assurance requirement for IPP certification. All IPP training sessions are open to the public and FREE to anyone interested in learning more about the threat of invasive aquatic plants in Maine. All workshop participants receive an “Invasive Plant Patroller’s Handbook,” and Maine’s Field Guide to Invasive Aquatic Plants. This workshop picks up where IPP 101 leaves off, with more emphasis on learning the ecology and the distinctive physical characteristics of the native plants that inhabit Maine’s lakes and ponds. Attendees will hone their identification skills with live specimens, and have the option of participating in an Aquatic Plant ID Proficiency Certification exam. Bring plants from your favorite lake, pond, or stream to identify and share with others. This is a botany fest of epic proportions! Previous exposure to plant identification (e.g., attending an IPP 101 workshop) is helpful, but not required. This workshop is for those who have already attended the basic IPP training and would like some guided field experience before setting off to conduct an invasive plant screening survey. Bring your own shallow draft boat or contact LSM to make alternative boating arrangements. Previous attendance of an IPP 101 workshop is recommended but not required. Please note: Courtesy Boat Inspection training is available as an add-on at some of our IPP Field Methods workshops. Please see the CBI workshop listing below for more information. Courtesy Boat Inspection (CBI) workshops will cover everything needed to become an effective Courtesy Boat Inspector and play a key role in Maine’s IAS prevention effort. You will become familiar with Maine law pertaining to the transport of invasive aquatic plants, practice inspecting boats and equipment for plant fragments and other potentially invasive organisms, be exposed to the basics of CBI documentation, learn how to spot a suspicious plant and what to do with it, and discuss ways to actively engage boaters in Maine’s prevention effort. LSM Courtesy Boat Inspection training, when offered, is scheduled in conjunction with an IPP Field Workshop or an IPP Plant Paddle. Attendees may participate in one or both portions of these two-part workshops. This engaging hands-on clinic is a must for anyone working to build and equip an IPP team on their favorite waterbody. The workshop provides expert instruction, scope-building materials, and the necessary tools to construct a variety of view scopes. Scope kits are available at cost for easy assembly at the workshop, and additional kits may be purchased for home construction. A workshop for trained Plant Patrollers, Lake Team Leaders, and Regional IPP Leaders who wish to expand community involvement in local early detection efforts. Plant Paddles are short (2 – 3 hour) events that take place on shore and on the water, and provide a fun and informal way to introduce community members to the threat of IAP and the importance of early detection. This workshop will provide you with everything you need to organize and lead your own community event. The purpose of this meeting is to bring together the knowledge, experience, and ideas of trained Invasive Plant Patrollers who are playing critical leadership roles in their communities for an exchange of strategies and ideas aimed at building volunteer early detection programs. Individuals interested in learning more about Maine’s Invasive Plant Patrol and forming IPP teams in their communities are also welcome to attend. 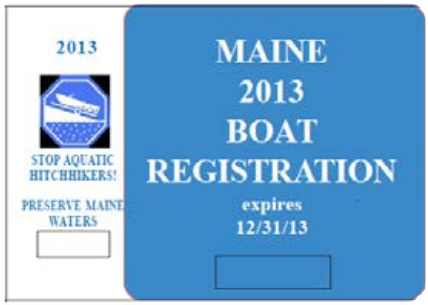 The Invasive Plant Patrol workshops are made possible in part by boater participation in the Maine Lake and River Protection Sticker program. Thank you for helping to keep Maine lakes free of invasive aquatic plants!